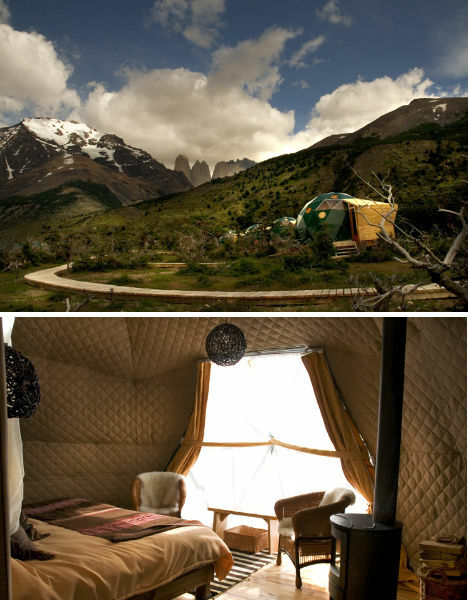 EcoCamp Patagonia in Chile is the best of both worlds – a truly luxurious getaway that is “100% carbon-free”. You’ll sleep in a geodesic dome inspired by the huts built by the native Kawesqar people while you enjoy modern comfort and convenience, located in the wilderness of the Torres del Paine National Park. Truly an awesome experience!